Thank you so much for becoming a Stable Supporter! You will receive a tax receipt and acknowledgment letter for your total giving at the end of the year. You can cancel your monthly donation at any time by calling 201-934-1001 or emailing kerryb@ponypowernj.org. To finish signing up, complete the form below. Become a founding member of our monthly Stable Supporters giving program and leave your hoof print on the farm. We will celebrate the commitment of our founding members with a trail of horseshoes adorning the brown barn. 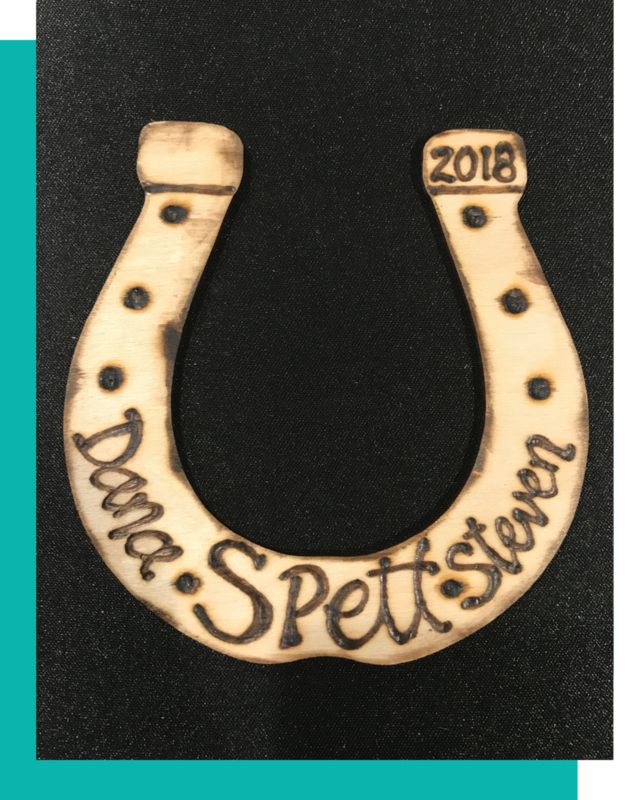 Each donor who signs up in the first year of the program will receive one personalized horseshoe to commemorate their commitment. Choose your own family name, or honor a participant, volunteer, friend, or family member. Your monthly gift will leave a lasting impression both on our programs and on the farm. We are proud that our fees have remained the same for almost 10 years, but they only cover approximately 65 percent of the actual cost of providing our riding and non-riding activities. Your donation helps bridge the gap between the fees we charge and the actual costs to run program, thus helping to keep it affordable for our participant families.